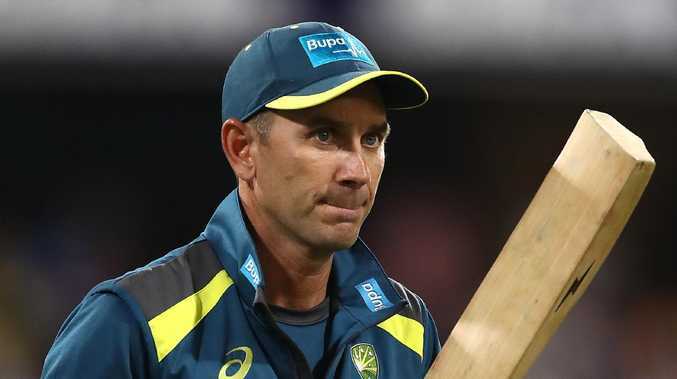 Justin Langer has defended the Australian team mentality. 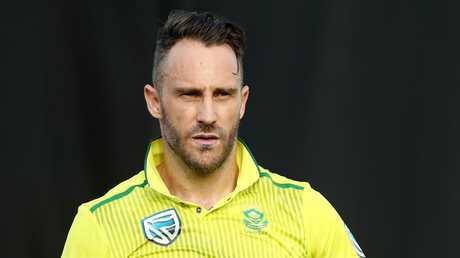 JUSTIN Langer has sounded off at departed South African skipper Faf du Plessis' suggestion that his Australian side has become tame in the wake of the sport's various off-field issues. The Proteas took a 2-1 series win in this month's short one-day international series, returning home to reflect on a changed Australia. De Plessis felt Australia's players were "genuinely hurt" by the inescapable ball-tampering scandal and its fallout, bringing the spotlight firmly on player behaviour. Whether the dark episode contributed to the series loss is both incalculable and academic. Either way, Langer took umbrage at the notion that his side were weakened. "I'm not sure where the 'tame' came from," Langer said. "We played really well in the second game. We batted poorly in the first game. In the third game we played brilliantly for the first 35 overs with the ball and they got away from us. "If you saw Marcus Stoinis's reaction in Adelaide I wouldn't say that was tame. That was passionate." Faf du Plessis suggested the Australian side was still struggling in the wake of the ball-tampering scandal. Du Plessis' categorisation of Australia clearly struck a nerve with Langer, who has been charged with delivering cultural change. That's meant the elevation of slogans such as "elite honesty", and institution of pre-match handshakes to improve decorum. Langer suggested they would be staying the course; and not flipping any switch to mongrel to match India across the summer. "I'm not sure what people want from us," he said. "We can't confuse the messages. On the one hand we're too aggressive and probably stepped over the line. Now we're getting called tame. "You saw the way the guys are going about their business (in the opening T20 win over India). "We're going to play good, hard cricket. "It's what the fans want to see. It's what Australia wants to see. "When you lose a series its easy for someone to come out and say we've been a bit tame. You can't have it both ways."